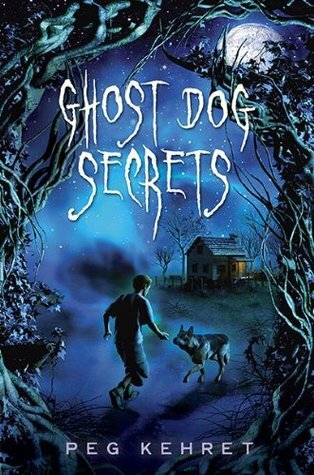 My children (ages 10 & 11) and I started reading Ghost Dog Secrets as a bedtime story. Everyone in our family is a dog-lover so when the kids found out Ghost Dog Secrets was on both Division lists for the Lovelace Award it was the first one they chose for our family storytime. After finishing Chapter 7 both kids asked if we could stop reading because they were both completely bored. Honestly, I was also bored but I finished the book in order to give it a fair review. It has a great title and a decent premise: boy loves dogs, boy wants a dog but can’t have one, boy sees ghost dog which leads him to abused dog, boy rescues dog. The story, however, has several problems beginning with the fact that Rusty and his friend trespass on someone else’s property in order to steal/rescue abused dog. This NEVER ends well in stories or in real life. I will also qualify my review by saying I have an EXTREMELY difficult time reading about abuse to children or animals (particularly dogs) and this story has many specific details of the dog Ra’s abuse–too many for my taste. The plot is predictable–you know how it’s going to end by the close of the first chapter. That doesn’t necessarily mean a book won’t be good; the way a character gets to the ending is the engaging part of the story. In this case there are no surprises, no twists on the way to the ending. I was hoping the “ghost dog” aspect would provide that extra oomph in a tired plotline but, unfortunately, the ghost dog isn’t present in the story enough to make any real difference. Another reader who enjoys dog stories may enjoy Ghost Dog Secrets but for me (and my family) this one missed the mark by a mile. I would recommend One Dog and His Boy by Eva Ibbotson as a much superior story of boy rescuing dog.